Our associate photographer, Maggie, spent the most beautiful, colorful day with sweet Ellie & Aaron, and together, they made magic! Ellie and Aaron’s wedding took place in the scenic Orlando, Florida area – Mt. Dora, to be exact – in the gorgeous Sydonie Mansion, and isn’t it amazing!? We are crazy about the pops of bold pinks and the incredible use of color. The arched doorways of the mansion and the historic architecture absolutely stunning, and we can’t forget that Spanish moss! 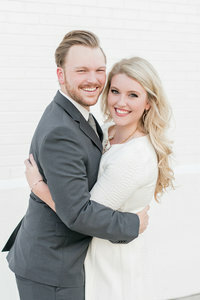 Most of all, we loved Ellie and Aaron’s sweet, joyful smiles on the happiest day of their lives! You’ll see what we mean below! Ellie and Aaron, we are so happy for you guys! We wish you all of the love and happiness in the world. Cheers, newlyweds! To learn more about our Eric & Jamie Associate Program, click here!